Begum Hazrat Mahal born on 1820, Faizabad and Hazrat Mahal is second wife of Wajid Ali Shah, They had one son Brijis Qadr and She died on 7th April 1879 in Kathmandu, Nepal. years of her life in Nepal, passing away in 1874 in Kathmandu. 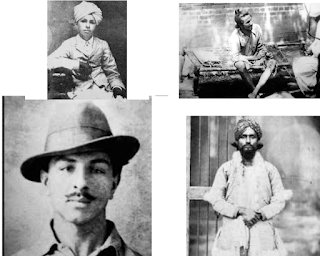 in Uttar Pradesh, becoming a lost hero in the pages of Indian history. Begum Hazrat Mahal on 10th May, 1984. Begum Hazrat Mahal certainly has been marginalized in history I mean you hear of Rani Lakshmi Bai do you hear of Begum Hazrat Mahal, No I think one of the reasons may be that she was a Muslim Queen maybe her religion had something to do with it in a country that has a majority community of Hindus but today what matters is that she was a freedom fighter she loved her country and her people and she fought you know for them till the end till she was pushed out of the country but I think we need to commemorate her celebrate her life much more than just erecting statues and you know issuing stamps because we need more women like her now I think she needs to be celebrated more.